Happy Wednesday! I hope you've had a good week so far! Has anyone else watched Tidying up with Marie Kondo on Netflix?! I'm kind of intimated by it but also super intrigued. I am all about the concept for letting anything go that doesn't spark joy! I feel like I have been working towards that this past year but I've feeling the urge (and motivation) to purge and organizing! 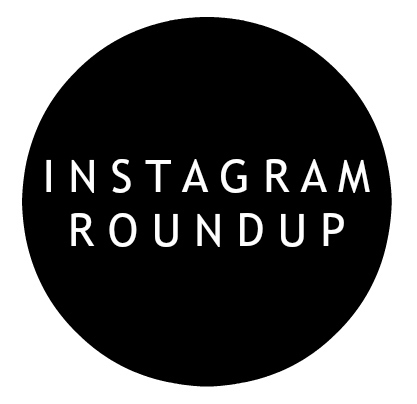 Today, I'm sharing my weekly Instagram roundup, including three of my favorite mom uniforms. 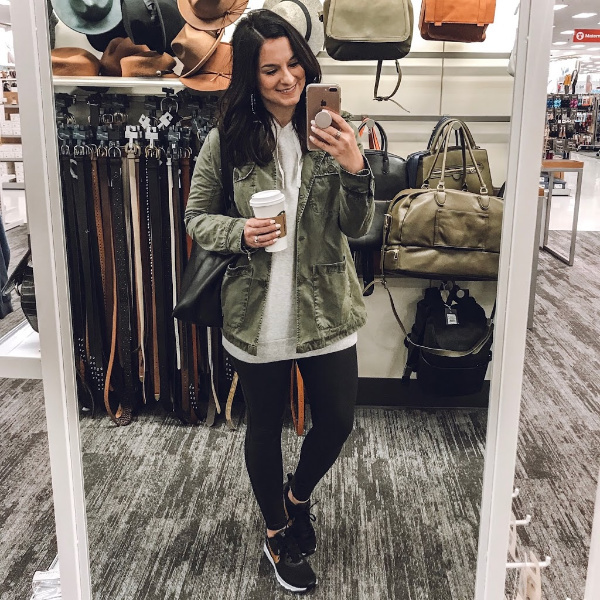 My goal when creating an outfit is to always be comfortable yet put together! Leggings and a sweatshirt will always be my favorite and most comfortable way to dress in the winter. Layers area also a must! 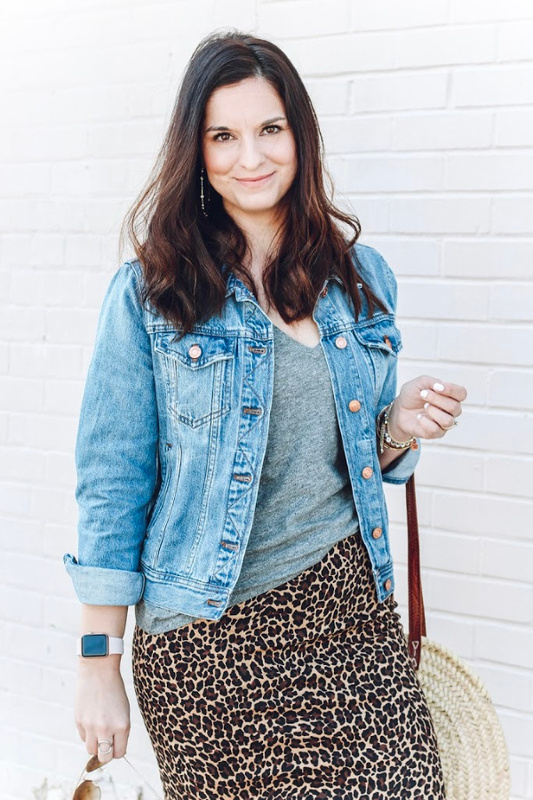 Leopard and more layers. 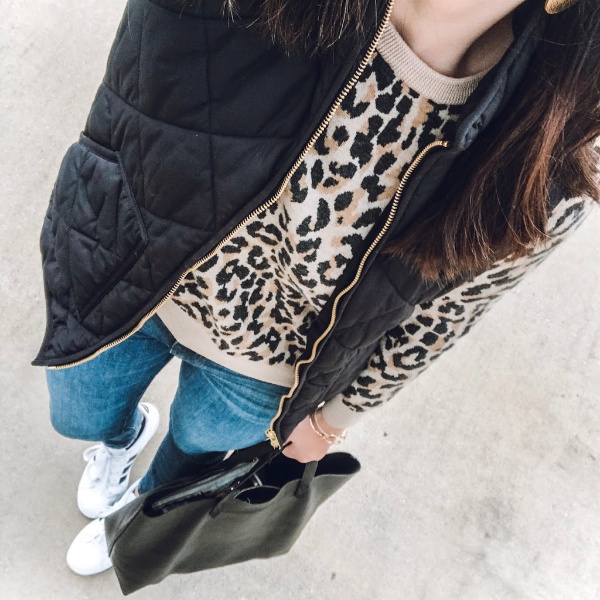 This vest was an item that I realized I was missing in my closet because I found myself looking for a black vests a couple of times. I've worn this one so much! 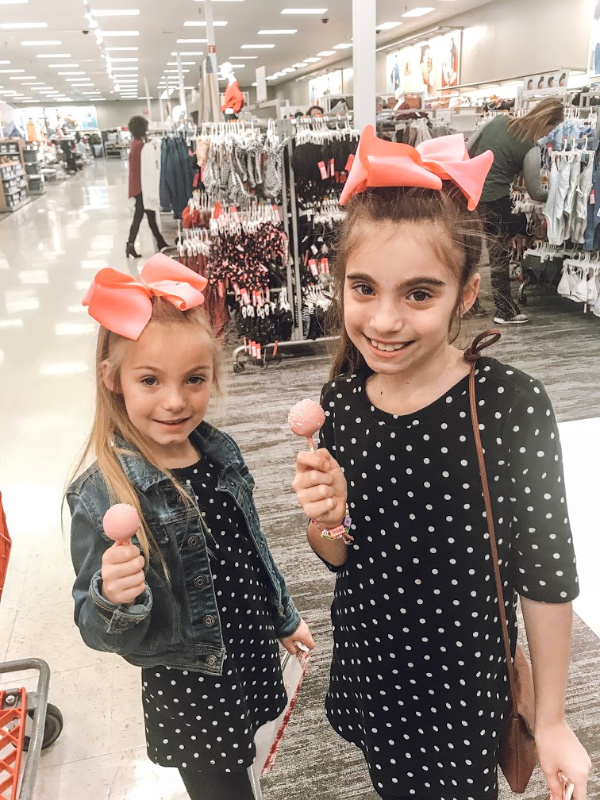 What's better than a Target run and pink cake pops?! Not much. 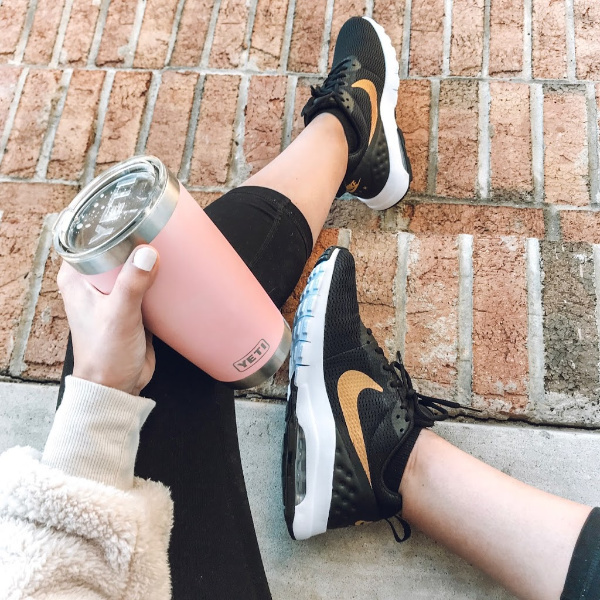 I finally upgraded my workout sneakers and I have been loving this pair! The gold caught my eye but the comfort has me wanting to wear them in and out of the gym! They fit true to size. Oversized sweaters have been my go-to lately. I dress them up with heels and down with sneakers. 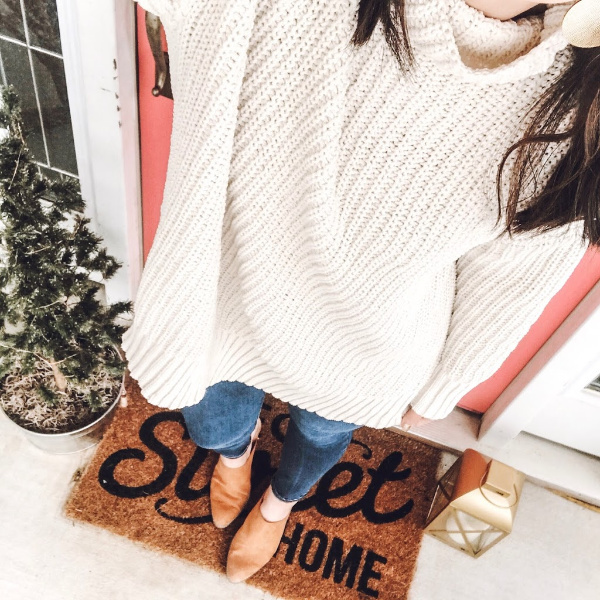 I just absolutely love a cozy sweater!